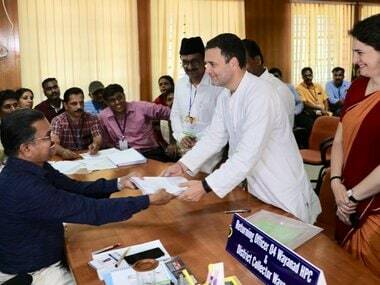 Barring Wayanad that Congress President Rahul Gandhi has chosen as a safe backup, the most high-profile and keenly watched constituency in Kerala will be its capital, Thiruvananthapuram. The reason is simple: the BJP thinks that it can open its Parliamentary account in the state from here, that too by toppling the two-time incumbent Shashi Tharoor. It’s not just the BJP, its proxies and party supporters that say that the high profile Tharoor looks vulnerable and that if the party can win any seat in the state this time, it will be here. Some poll surveys by local language channels also show that it will be either a neck-to-neck fight or a win for the BJP. Two channels have, in fact, predicted that the BJP will win with a fairly big margin. The answer to the question lies in the demography and the unique political character of the constituency that the BJP has certainly taken advantage of over the years. Compared to the rest of the state, where the average Hindu population is about 55 percent, 67 percent of the people in Thiruvananthapuram are Hindus. It also has the third highest population of Nairs in the state. A higher than average share of Hindus and "Savarna" voters sound advantageous to the BJP, and in terms of rising vote-share, the party is justified in believing it too. 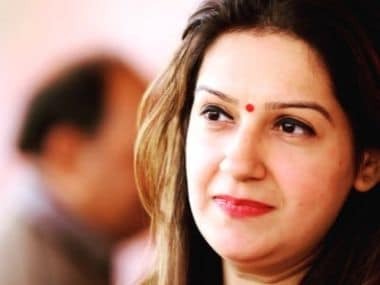 The party has been trying to leverage the Hindu and the upper caste advantage for quite some time and every time there’s an election, supporters and proxies of the saffron party trigger a murmur campaign saying its candidate will win this time, in a bid to manufacture a possible surge towards the polling day. The first time this was tried was in 1998 when there was a last minute push among the same electorate that BJP’s Kerala Varma Raja would win. In terms of resources, the BJP was only a feeble shadow of its present self and the campaign spread through family networks. For the first time, the party reached teasingly close to the 100,000 mark. But, the battle was still political between the Congress and the CPI in which the former (K Karunakaran) won with a margin of 15,000 votes. 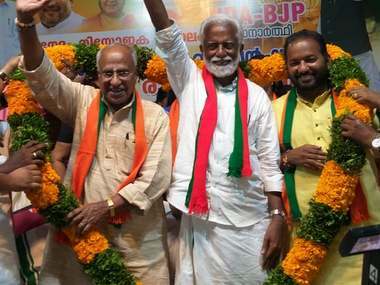 Buoyed by the spurt in its votes and the enthusiasm in some sections of the electorate, the BJP started fielding its veteran leader O Rajagopal, who went on to become its only racehorse in any election in Thiruvananthapuram and started raising its stake. The same murmur campaign preceded every election — whether to the state Assembly or Parliament — that he contested and the final push raised the vote-share. In 1999, the party’s vote-share rose by 67 percent and in 2004 by another 44 percent. However, when the BJP tried alternative candidates in 2005 and 2009, its share fell to pre-1998 levels. The party brought back its election-veteran Rajagopal in 2014, and the buzz that he would win was at its zenith. He almost won, but for the resistance from three coastal constituencies that favoured Tharoor. In fact, it was Rajagopal who had harnessed the uniquely Hindu-majority demography of the district the most and had made the BJP a strong contender. By fielding another candidate with a similar, 'affable' profile, the BJP feels it can still raise the bar and tip the balance in its favour. Clearly, the Hindu and Nair voters are the key. 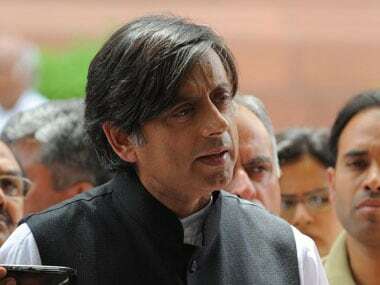 When Tharoor chose to contest from the constituency in 2009, he, too, might have factored in the electoral composition of majority Hindu, higher share of Nairs and an educated electorate with a legacy of loyalty to the ruling royalty of Travancore. That was ideal for a contemporary, sophisticated, liberal democrat. And it did work with Tharoor winning handsomely with a margin of over 100,000 votes. A charming Tharoor with the right credentials was the perfect fit for such an electorate. However, through a benign and well-respected Rajagopal, the BJP too tapped the same constituency when Tharoor sought re-election in 2014. It almost entirely managed to wean away the demographic advantage Tharoor had. All that he is left with now is charisma and the political votes that saved him in 2014. Will it happen again? It might, because what Rajagopal managed to get in 2014 was the maximum that the BJP could extract from Thiruvananthapuram because of two additional factors: one, the so-called Modi-wave that promised clean governance and world-class development when the Congress-led UPA was mired in corruption scandals and policy paralysis; and two, Tharoor was the target of a vicious campaign in connection with his wife Sunanda Pushkar's untimely death. This time around, there’s no Modi-wave and the new vilification campaign that the Left manufactured against Tharoor has been contained swiftly. Moreover, Rajagopal had a better profile too. In 2014, the massive spike in the vote-share of Rajagopal was probably the last of the Hindu and Nair migration that one could anticipate because the erosion in Tharoor’s vote-share was massive (about 10 percent) and the conditions were not so favourable to him. That Tharoor still won should make him breathe easy. The reason is again, the constituency’s demography. The Hindu and Nair votes that Tharoor originally banked on are clearly no longer his constituency, but the minorities are. In 2014, three minority constituencies (Nadar and Latin) saved him from the near-fatal finish. And there is no reason for them to change their mind this time around. In fact, the general air of minorities rallying behind the Congress as the national bulwark against the BJP should make more minorities vote for him. When Rahul campaigns in the state this week, it should further consolidate the minority votes and even reverse some of the erosion from the Congress vote-bank. Nadar and Latin votes deciding the fate of the candidates in Thiruvananthapuram is not new. From 1980 to 1996, it had become a veritable minority constituency with only a Nadar winning the election, that too for the Congress. The same formula worked in 2014 and there’s no reason why it wouldn’t in 2019 too. In fact, in 2014 the Left had fielded a resource-rich Nadar candidate precisely with this electorate in mind and he had campaigned vigorously in the coastal belt where the votes are concentrated. Still, Tharoor won. The CPM-led Left knows that it’s the Nadar and Latin voters and their constituencies of Kovalam, Neyyattinkara and Parassala that are going to save Tharoor and the only way to unsettle him is by estranging them. The party’s proxy-machinery launched a smear-campaign a few days ago with a twisted translation of Tharoor’s tweet to impute that he’s anti-fisherfolk. However, Tharoor strategically hit back immediately and held his ground. Over the years, Tharoor has assiduously worked in the coastal areas and the voters are unlikely to disappoint him. However, what he should be wary of is his own party. There are widespread reports that some of the local Congress units are working against him and the campaign on the ground, including door-to-door outreach, is weak. The BJP is firing on all the cylinders with the Sangh cadres working at scale. 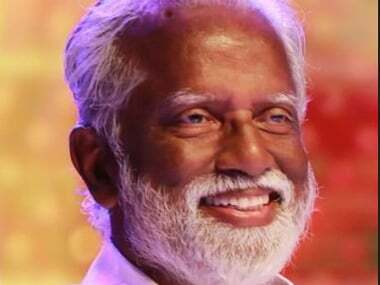 Its candidate Kummanam Rajasekharan is the most visible face on billboards, loudspeaker caravans, wall-posts and posters. That Congress has never been a cadre-party and its political capital has been the silent voters, shouldn’t be an excuse for the party to being purposely lackadaisical. Will there be additional migration of Hindu and Nair voters to the BJP this time in comparison to 2014? If at all there is, will Rahul’s campaign reverse it? Will the counter-weight of the Nadar and Latin voters be good enough? Will Kummanam turn out to be more popular than its all-weather racehorse O Rajagopal? These are the factors that will decide the final result. It’s certainly going to be a nail-biting finish, but the assessment is that the minority-insurance will protect Tharoor. Even the fence-sitting Left voters might vote for him if they sense a risk of the constituency falling into BJP’s hands.